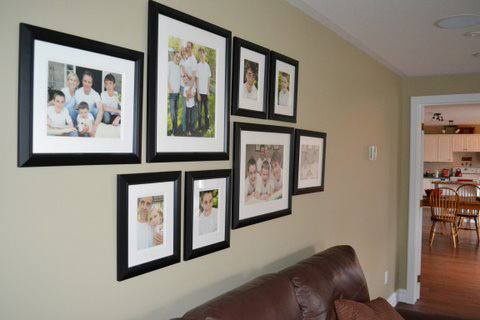 I really appreciate seeing how my clients have displayed their photographs. These images come from this post. I think this particular wall display is very effective b/c it tells an entire story of their family and uses up a good size of wall space at the same time. 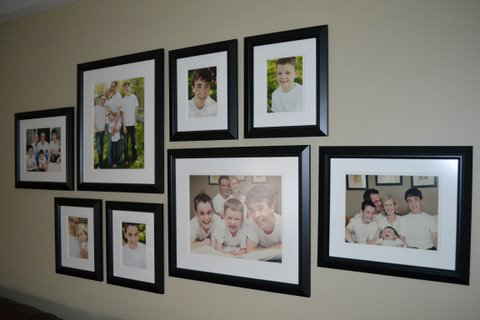 I’m an advocate for family photographs being the “art” in your home. Thanks for sending these to me Heather! You will recognize the new mama in these images from my last post. 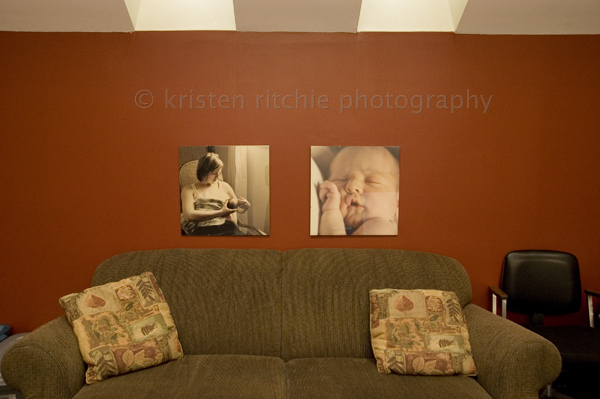 She found my website through Childbirth Kingston, so I thought it appropriate to hang images from our shoot together on their wall space. On a completely unrelated note, I finished a great book while waiting for my mom at the Syracuse airport yesterday that I want to share. The Guernsey Literary and Potato Peel Pie Society is a novel of letters written in England just after the end of the 2nd world war. I thoroughly enjoyed losing myself within the pages of the characters and the bond they felt for each other and their island of Guernsey. It’s a quick read that easily transports you to a generation of letter writing, before long distance plans and email. And as difficult as the war is to imagine surviving, there is a romance to this period that exists because of it which this book reveals to us.